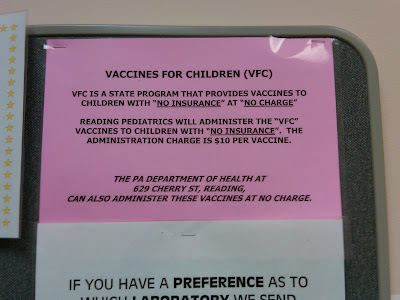 If they charge ten bucks for the children that have "no insurance" (i.e. those that DO) how much is it for the ones that real-ly have no insurance? Ah-ha! That is when there would really be no charge.